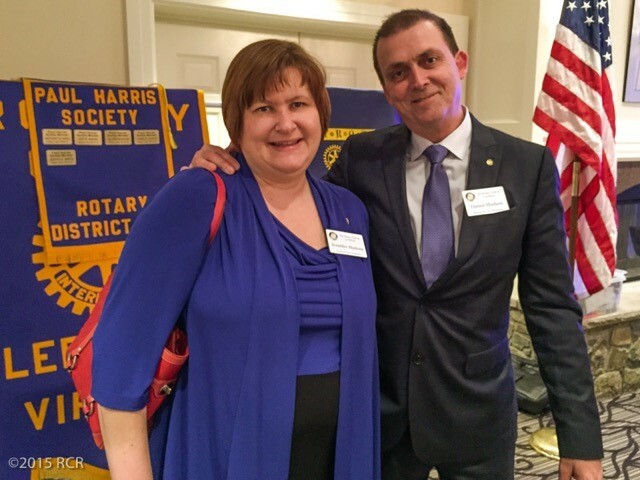 The Rotary Club of Leesburg was pleased to induct two new members, Jennifer and Dan Hudson. Club members have been getting to know them during the membership proposal process, Dan works in the IT industry, primarily supporting the government. Jennifer is a federal employee, based in the Tysons area. Both Dan and Jennifer have been involved in addressing poverty issues locally and internationally, traveling to Uganda and Haiti. They look forward to continuing this love of service through their involvement with Rotary. Members will hear more about these outstanding new members during their upcoming classification talks.